Rhine River originates on the hilly slopes of the Swiss Alps and it gradually grows in strength with every kilometer it passes. Its headwaters set boundaries for the three European countries: France, Switzerland and Germany. Being in the area it is worth to visit all of these. I’m enchanted not by the Swiss scenery, but also country’s ability to keep a nice balance between traditional values, their concern for the environment and being open-minded, carefully following new trends imposed by the omnipresent globalization. 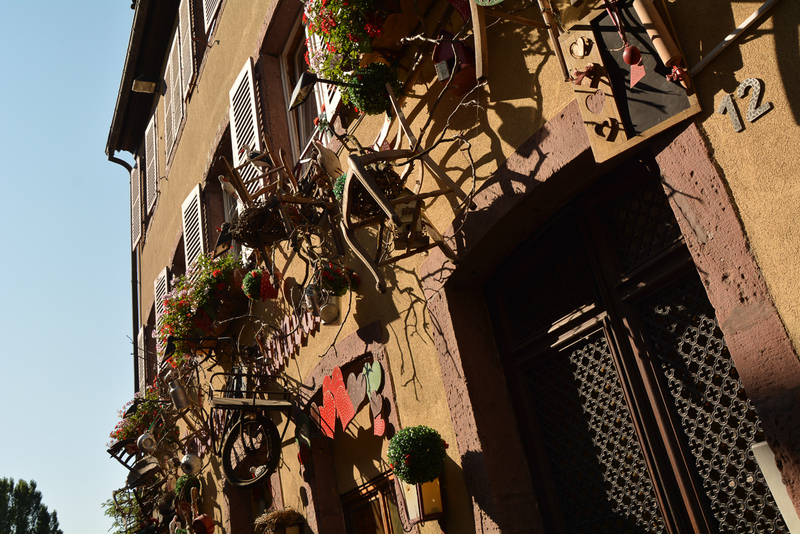 All these factors shape the contemporary way of life in picturesque villages of Switzerland. It is also a multilingual and multicultural country. Moving between its parts you will see how individual charm is enhanced by influence of French, German, Austrian and Italian cultures. According to the plan this morning I’m going to pick up Ela in Basel. Already at the airport, I keep looking and waiting, but I cannot see Ela. Suddenly my phone rings. – Are you at the airport? – Yes, I am. What about you? – Well, I’m at the airport in Basel, you too? Who would have thought that one airport can be located in two different countries? Subsequently we noticed that we are very close, but there is an impassable transparent wall between us. One of the border guards clearly knew what was going on. He just pointed to the elevator and showed three fingers with his hand. He meant that the border crossing is on the third floor and that is the only way to move from one country to another, though at the same airport. Ah, the modern-day bureaucracy. We managed to meet in the end! We drive to France to shop for basic groceries. 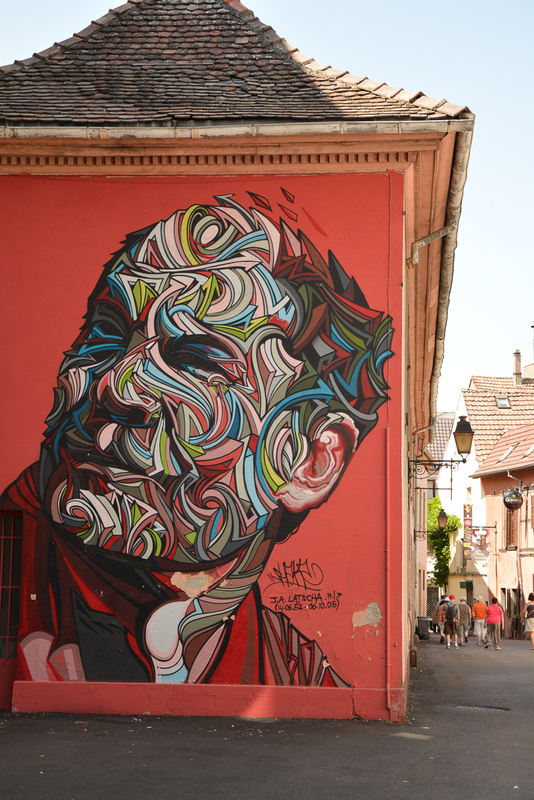 It turns out that in France there is a national holiday – Bastille Day. No problem, we’re simply drive back to Germany, where shops are open. We buy some, note bene among other things, French baguettes and return to France. Fixing certain problems is nowadays quite simple. 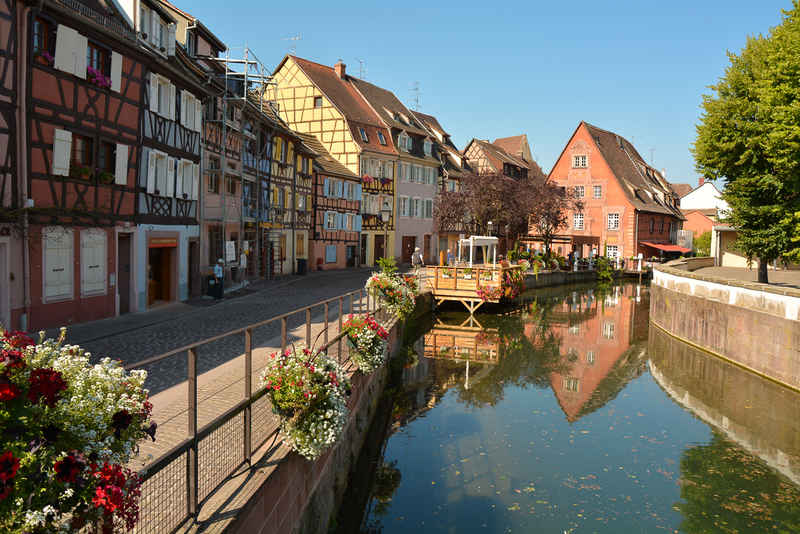 First thing to see in this part of France is Alsace. This is a region that has been on my watch list already for some time. 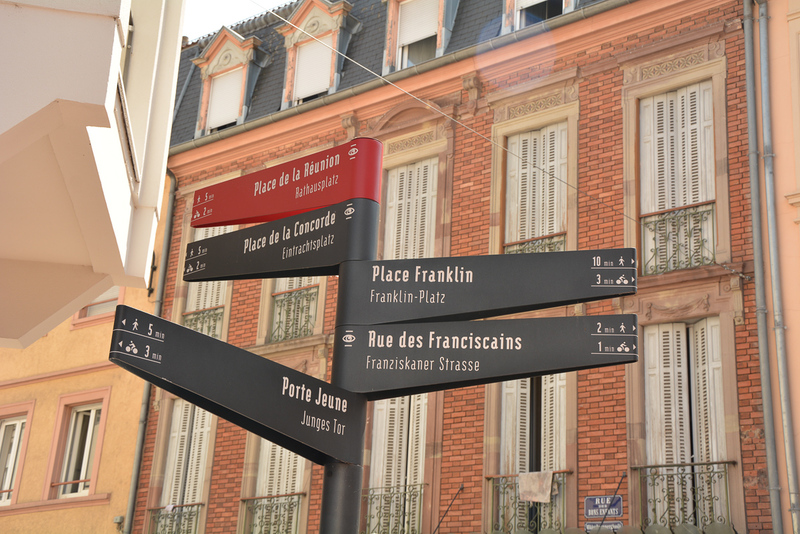 Even though all roads lead to Mulhouse, we stay there only for a moment. It is a big city and I definitely recommend exploring the area around instead. There are plenty charming villages scattered all over the hilly vineyard-abundant countryside landscape. 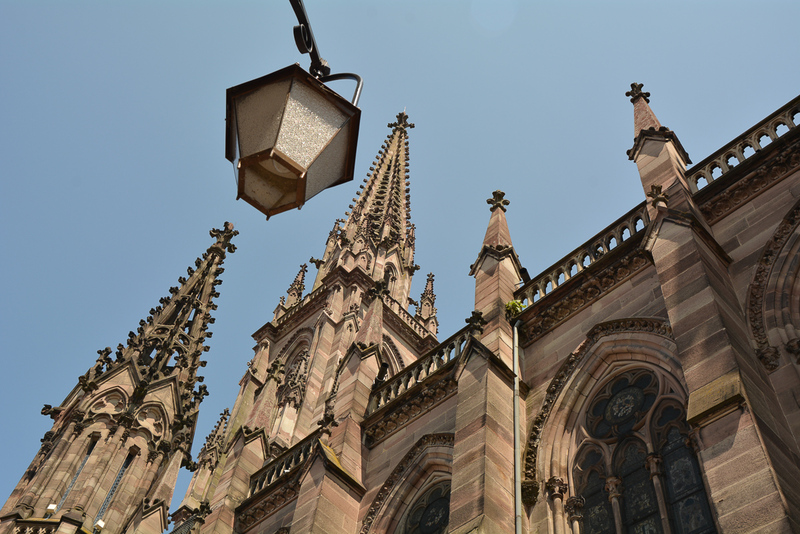 The land of Alsace has historically been under strong influence of Germany and France. Despite currently belonging to France, Alsatians speak Alsatian, their local language, which can be classified as a German dialect with some loanwords from French. Local people are engaged in grape cultivation and wine production, as well as the production of cheese and agricultural products. They also grow hops and have rich background in brewing. One of the traditional dishes is Flammekuechle, in free translation it is “the cake from the fire”. It is commonly called an Alsatian pizza. In fact, it is something like a pizza with a very thin base and hard baked, almost burnt crusty edges. It appears in many versions, for example with fruit, mushrooms or different types of cheese. 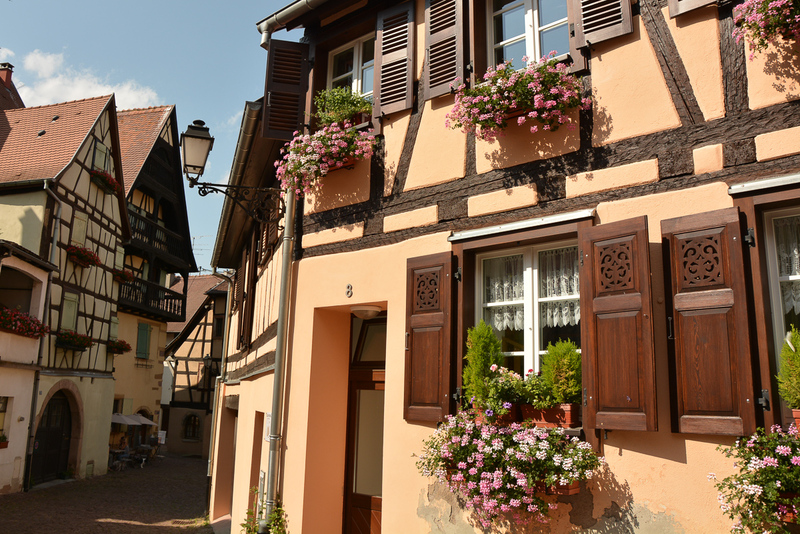 We get to Katzenthal, one of the peaceful villages located between the plantations of wine. The landscape is idyllic and makes you just want to wander aimlessly. 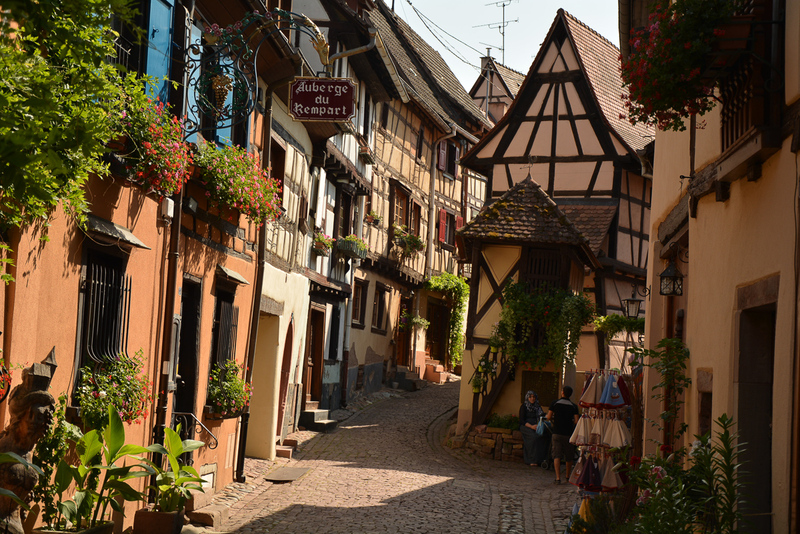 While it’s easy to find a place in Alsace where you almost do not find any tourists, Eguisheim and Colmar are the two mandatory points on your visit in the area despite their popularity. The local architecture dominated by the Prussian wall. This characteristic façade consists of a wooden frame filled with brick walls. In the past a mixture of clay and straw was used – the raw materials that were easily available and cheap. 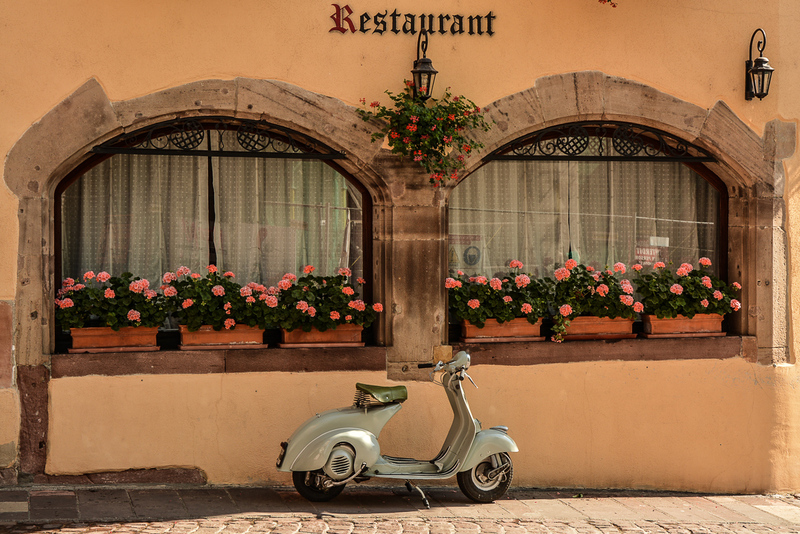 Eguisheim is a town with a thousand years of history. Nowadays it is clearly stylized for tourists. 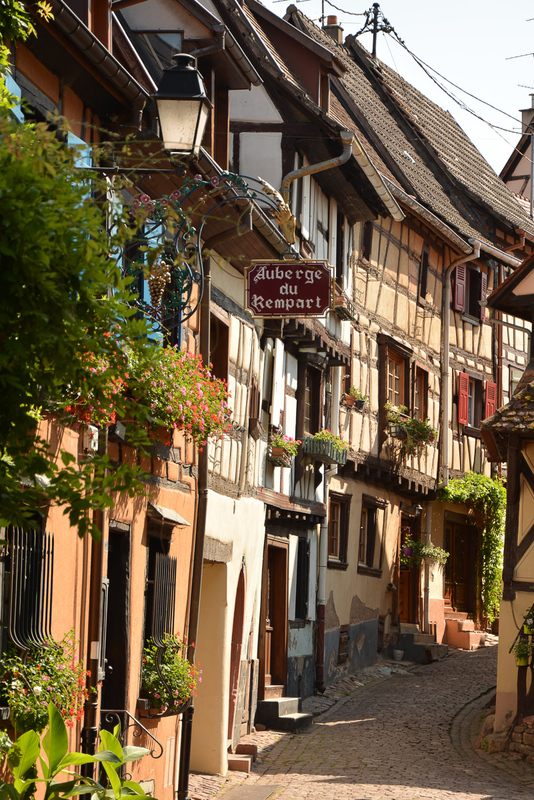 Yet it’s still worth visiting, simply to stroll through the narrow cobbled streets, take a look at the production of manufacture, admire colorful houses, flowers and wooden elements of the facades, which are even more flattering than in other parts of this charming land. 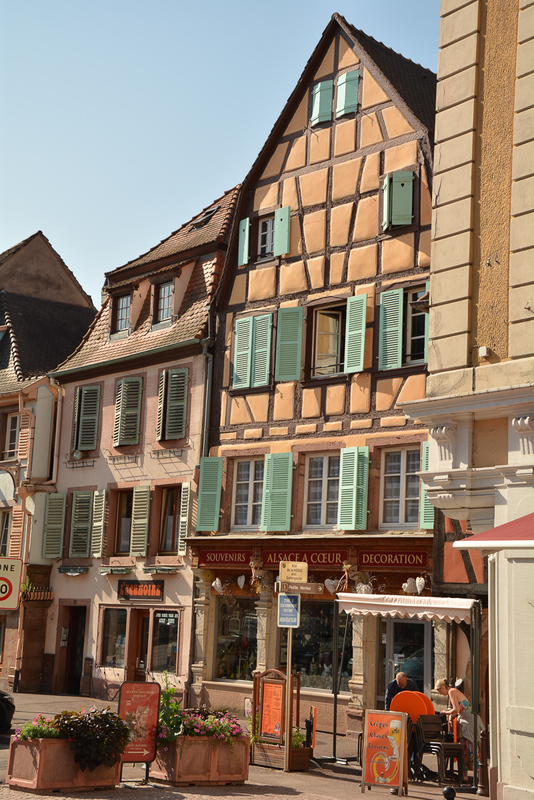 One could argue that Eguisheim lacks some sense of authenticity, but this can be found in Colmar. 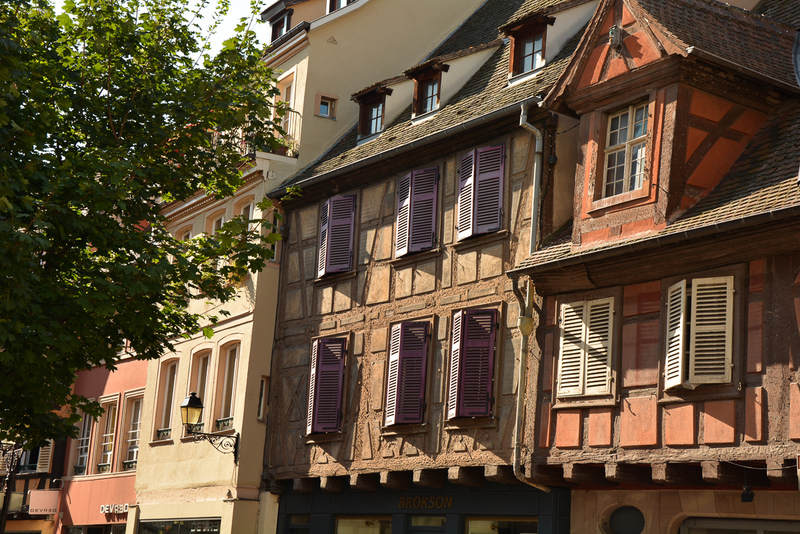 Colmar makes the best impression thanks to the well-preserved old town and the picturesque district Petitte Venice. 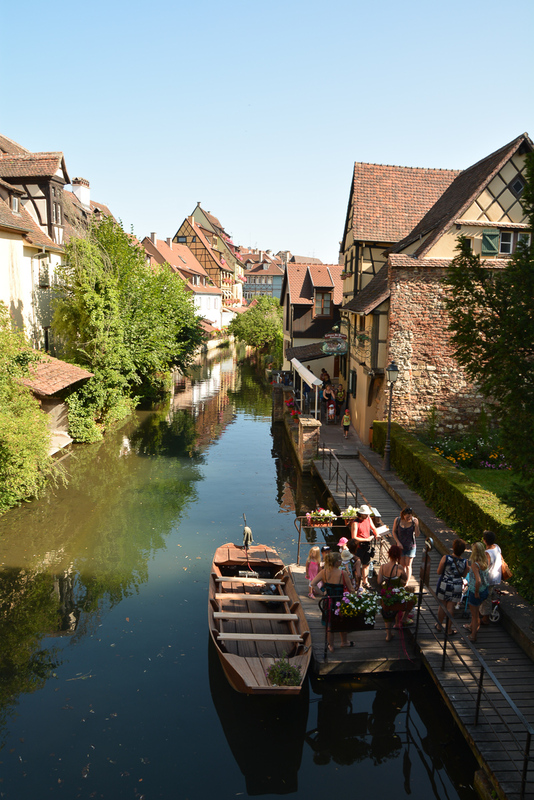 “Little Venice” runs along the canals of the river Lauch studded with renovated colorful houses in Alsatian style. The view is enhanced by stylish stone streets, wooden shutters, flourishing flowers in pots and small eateries serving local products. We easily find a quiet place to comfortably sit down on grass and enjoy the atmosphere while tasting a bottle of local wine. No planning needed at the moment – the journey happens itself.